Every media outlet has aired multiple stories about the obesity problem in America. They show charts and graphs on how the percent of those overweight or obese has skyrocketed over the last several years. We know obesity affects adults of all ages and even children as young as three years old. An annual report produced by the Robert Wood Johnson Foundation and Trust for America’s Health even provides statistics for individual states. In its 2013 report, 28 states have an adult obesity rate over 25%, and another 13 states have adult obesity rates exceeding 30%. This means 41 of the 50 states have at least a quarter of their population overweight. Americans are getting fatter by the day. 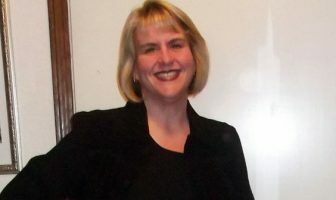 Studies have shown that people who are overweight or obese are more often to suffer from high blood pressure, heart disease, stroke, Type 2 diabetes, joint problems, sleep apnea, respiratory problems, higher risk of certain cancers including breast and colon, acne, headaches, fatigue, and metabolic syndrome. These illnesses and conditions translate to higher health care costs, increased absenteeism at work (or school), and declining work productivity. Additionally, the emotional toll of being overweight or obese is real and ever-present. Many people are subject to disapproval from their family or friends, as well as in the workplace. Right or wrong, some are denied promotions due to their weight. Over time, this can lead to depression, anxiety, and low self-esteem. In 2010, Duke University researchers published the findings of their study on the health-related cost of obesity for American employees. They calculated it at $73.1 billion a year. This includes the cost of absenteeism (missed work days), presenteeism (lost productivity due to poor health), and direct medical costs. The annual health care cost of a normal-weight employee is about $10,000 . Employees who are 100 pounds overweight bear an annual health care cost of $16,000. With more than a third of our population obese, an additional $6,000 for one of every three employees is a staggering amount! One of the contributing factors of this obesity epidemic is the sugar intake of the typical American. In 2012, the U.S. Department of Agriculture measured this to be more than 76 pounds per person in a year. What does this really mean? It is the equivalent of eating 7,296 teaspoons of sugar each year, or nearly 20 teaspoons every day for a year. Pause and think about this. The average American is eating 20 teaspoons of sugar a day. Every day. Of every week. Of every month. If this doesn’t seem like a lot, let’s do the math a little differently. One gram of sugar has 4 calories. One teaspoon has 4 grams, or 16 calories. 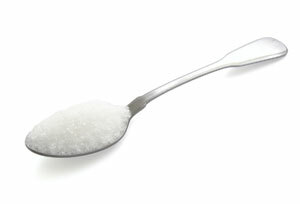 There are 96 teaspoons in a pound of sugar, or 1,536 calories. If the average American eats more than 76 pounds of sugar a year, then they are taking in 116,736 calories (1,536 calories x 76 pounds) each year from sugar. What does this mean on a daily basis? 116,736 calories each year / 365 days in a year = 320 calories a day. If you are only taking in 1,600 calories a day, 20% of your diet is sugar. Ewww! 1 serving Pepsi – 28 grams of sugar. 28 grams x 4 calories/gram = 112 calories from sugar. All of the calories from this drink are from sugar. 1 bottle Gatorade (20 oz) – 34 grams of sugar. 34 grams x 4 calories/gram = 136 calories from sugar. All of the calories from this drink are from sugar. Snickers, regular size – 27 grams of sugar. 27 grams x 4 calories/gram = 108 calories from sugar. Sugar is 108 of the 250 total calories. 8 oz Minute Maid orange juice – 22 grams of sugar. 22 grams x 4 calories/gram = 88 calories. Sugar is 80% of the 110 total calories. 8 oz Sierra Mist or 8 oz 7 Up – 25 grams of sugar. 25 grams x 4 calories/gram = 100 calories. All of the calories from this drink are from sugar. 1 pouch Minute Maid Coolers Berry Punch (kids drink) – 25 grams of sugar. 25 grams x 4 calories/gram = 100 calories. All of the calories from this drink are from sugar. 8 oz Rock Star – 30 grams of sugar. 30 grams x 4 calories/gram = 120 calories. Sugar is 120 of the 140 total calories. These values are based on one serving of each, but how many servings are in that can or bottle you are drinking? Or in that candy bar you are eating? Compare these amounts with the American Heart Association’s recommendations. A woman should limit herself to no more than 6 teaspoons (96 calories) of sugar daily, and a man to no more than 9.5 teaspoons daily (152 calories). These are obviously significantly less than the 20 teaspoons the average American eats. Nutritionally, sugar has zero value which means no vitamins, no minerals, no protein, no healthy fat. It is truly empty calories, and for those trying to lose weight, eating or drinking sugar is like a double whammy. Not only are they wasting their calories, they also aren’t getting any nutritional value at a time (reduced caloric intake) when they need it most. Sugar comes in many forms, or perhaps more importantly, sugar in ingredient lists come under many different names. Table sugar is sucrose. Sugars in fruit are fructose. Glucose is often called blood sugar because it circulates in the blood. Sugars from corn are dextrose and high fructose corn syrup (actually part glucose and part fructose). Sugar is also sometimes disguised as molasses, honey, rice syrup, organic dehydrated cane juice, agave nectar or syrup, turbinado, dextrose, barley malt syrup, and saccharose to just name a few. With so many different names, it certainly can be overwhelming. Adding to this confusion are sugar alcohols such as maltitol and sorbitol. While they may not impact your blood sugar level as much as sugar itself, they bring along their own set of potential health problems. Brain scans indicate sugar is as addictive as cocaine. Both cause a euphoric effect that triggers dopamine which is the pleasure center in the brain. It is fair to say then that the more you eat, the more you want, the more weight you gain, and the fatter you become. A viable option for sugar when baking or to add to your coffee or tea is Stevia. Stevia is a plant typically grown in South America. It is much sweeter than sugar (200x) but does not raise blood insulin levels. Because Stevia is so sweet, a much smaller amount than sugar can be used and still provide the same taste. It is an ideal substitute because it doesn’t have any calories or fat, doesn’t cause the side effects often found with sugar alcohols, or the negative health effects associated with Splenda. Choosing the right Stevia is important. If you don’t pay attention, you will likely buy a type of sugar which is exactly what you are trying to avoid. Stevia in the Raw is surprisingly not the best choice. Its first ingredient is dextrose (sugar). Similarly, organic Stevia may not be pure Stevia, as it could contain agave inulin (processed fiber derivative from the blue agave plant). Truvia, which is touted as being made from Stevia, is not good either. The first ingredient listed on its label is erythritol, a naturally occurring sugar pulled from genetically engineered corn. The third and final ingredient is “natural flavors added”. The best choice is Stevia Leaf Extract. It is pure Stevia without any other added ingredients. With the information provided in this article, you can take simple steps to improve your health. 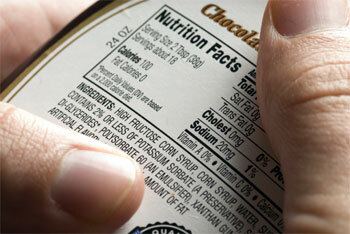 Start reading labels and changing the foods and drinks you choose. Before long, you’ll lower your daily sugar intake and feel better overall!